Broad beans are a fantastically rewarding crop to grow. Whether you’re just starting out or you’ve had an allotment for years, broad beans tick all the boxes. The broad beans we can buy in the supermarkets always seem a little underwhelming. They are too big and floury and lack flavour. When you grow your own, you can pick them when they are young, tender and flavourful. Although you can sow broad beans outside in the autumn, the success rate can be poor. The young broad bean plants can be wiped out by cold weather and pounding winter rain. Unfortunately, the hardier varieties of broad bean tend to have the least flavour. 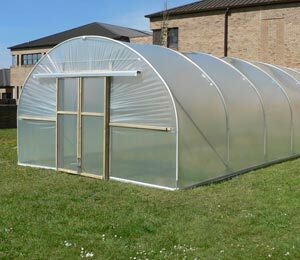 Growing broad beans in a polytunnel immediately gives you more options. You may choose to sow your broad beans in spring. 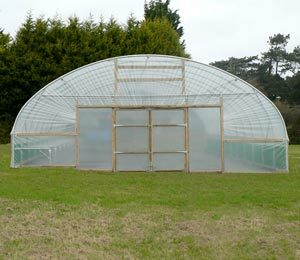 The polytunnel will extend your growing season by weeks. 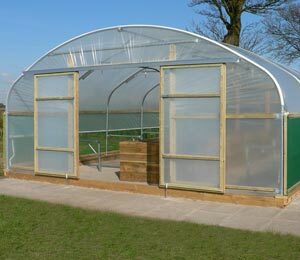 You could sow your spring broad beans as early as February in a polytunnel. 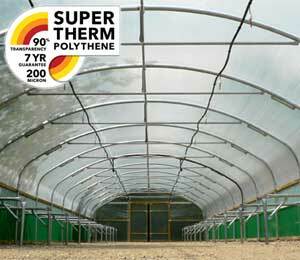 If a cold snap is forecast, our cloche, mini polytunnel or horticultural fleece will give your young plants extra protection. 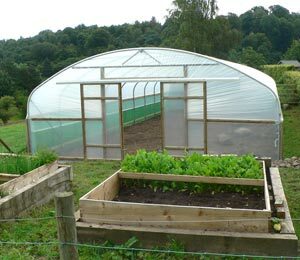 You might prefer to sow your broad beans in the autumn in the polytunnel. 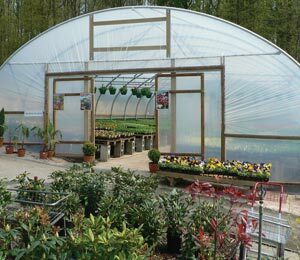 The extra protection means you can get your young plants through the winter and enjoy an early crop next spring. 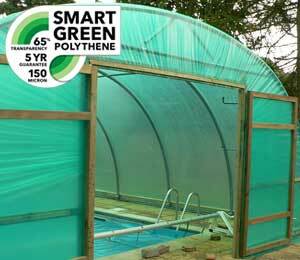 Our 6ft x 8ft (1.83m x 2.44m) polytunnel will fit into the smallest garden and increase your growing options. 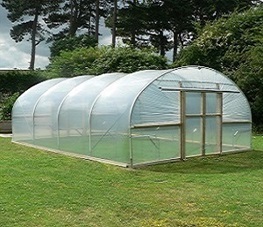 The polytunnel is extremely versatile, with options for placing it on soil, timber or concrete. You could be harvesting your first broad beans in April from seeds sown in September. Successional sowing is key with broad beans. Each plant can produce many pods. To avoid being overrun with broad beans, stagger your sowing from early to late spring. You could still be harvesting beans in September from sowings in June. The extra-large seeds are supremely easy to sow – just push them into the soil or into a pot of compost. The seeds are packed full of energy and will usually germinate with no problems at all. Children absolutely love growing broad beans. They’re not fiddly or fussy to sow. The plants grow quickly enough to keep even little ones’ attention, not to mention adults. 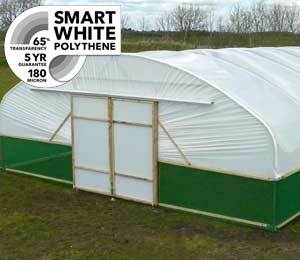 The polytunnel will also protect the mature plants from damaging winds. The fully grown broad bean plants are bushy and heavy with pods. Gusty winds can snap the stems, and ruin the crop. 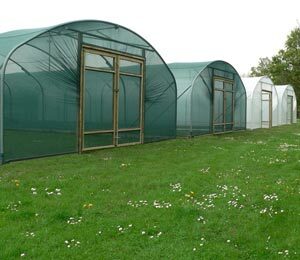 The polytunnel will keep them safe and snug, ready for you to harvest. You can sow broad beans either directly into the soil or in pots, depending on what space you have available. 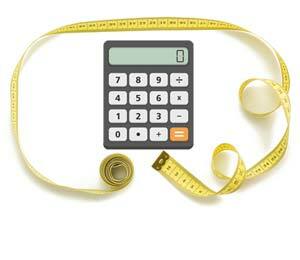 Once the soil has been prepared, sow the beans singly about 5 cm/2 inches deep. If your soil is friable enough, just push the beans into the soil one by one. You might prefer to make a trench with a trowel, space the beans along it, then cover it over. Space the beans out about 20 cm/8 inches apart along the row. Ideally, broad beans should be sown in blocks or double rows. This helps them to support each other while allowing air to flow through. To sow in double rows, stagger the seeds along each row, so the seeds on one row are slightly offset from the next. Leave a gap of 60 cm/24 inches between each set of double rows. This will allow you to get in to harvest. Cover over your sowings. Water in well to settle the soil down around the seeds. Don’t forget to add a label. 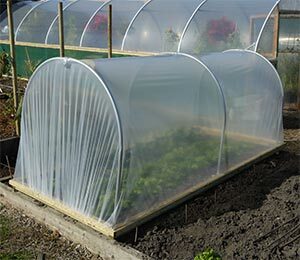 If sowing in autumn or very early spring, consider covering the soil with a cloche or fleece. 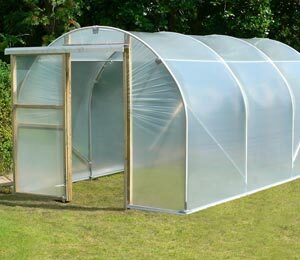 This will protect the beans from the worst of the cold weather. Bottomless plastic bottles sunk into the soil over the seeds can help to deter rodents and act as a mini cloche. If slugs are a problem, rings of copper sunk around the young plants should keep damage to a minimum. Broad beans are not terribly fussy about what compost they are sown in. Seed compost or multi-purpose compost will do just fine. Fill small pots or root trainers with your chosen compost, and sow one seed per pot, pushing them in about 5 cm/2 inches deep. Cover over the seeds and label. Water the pots well and leave to drain. Once the plants are about 5 cm/2 inches high, transplant them into their final growing position. Water them in well. Broad bean plants take around 15 weeks from sowing to harvest (around 30 weeks for autumn sowings). They will become top heavy very quickly once the pods start to develop. 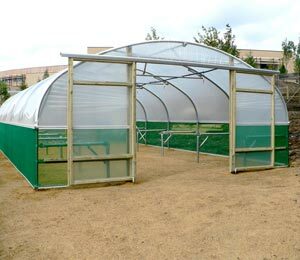 While the plants are still young, add a support structure. Push a strong cane into each corner of the bed. Crisscross string over the beds, looping it round the canes, to provide a network for the plants to grow through. Another option is to push twiggy prunings from elsewhere in the garden in among the plants. The plants will soon grow up and obscure the supports. 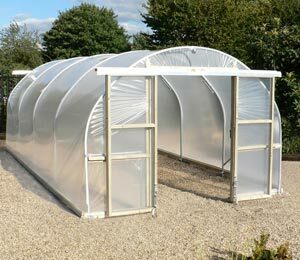 It is much easier to add the support early, rather than trying to tie in mature plants which have started to lean. Keep on top of weeding around the plants. Regular hoeing will reduce competition for water and nutrients in the soil. This will result in a healthier crop. Keep the plants well-watered, particularly when the pods are developing. 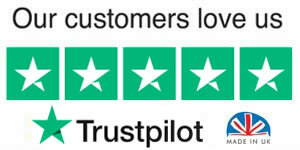 An automatic irrigation system is extremely helpful. It means your plants won’t dry out even during holiday season. 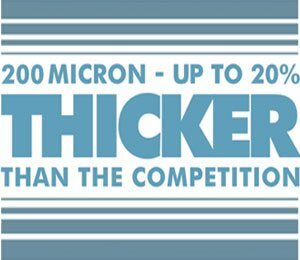 Consider adding the Gardena Soil Moisture Sensor to your watering kit. This sensor is ingenious and ensures plants are not over- or under-watered. When the young pods start to appear, nip out the top of the stem. Take out the growing tip along with the top two leaves, around 10 cm/4 inches or so. This helps to stop black bean aphids taking over. They are particularly drawn to the young tender growing tips, and can quickly smother the plants. Don’t waste the tips - they are delicious to eat wilted like pea shoots or spinach. If the aphids do attack, pinch out the affected parts of the plants straightaway to stop them spreading. 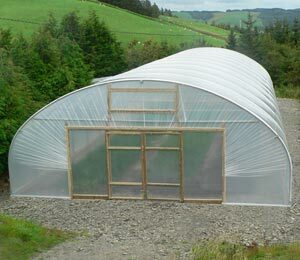 Keep the polytunnel well ventilated. 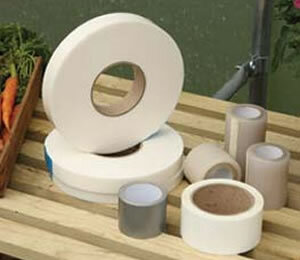 This will stop the plants becoming stressed through overheating. 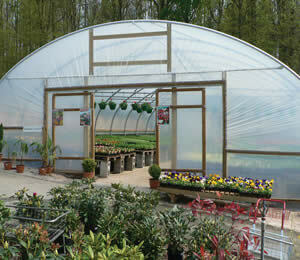 It also allows for good airflow through the plants and reduces humidity. 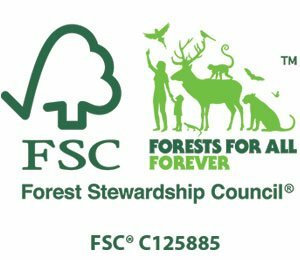 This will help to reduce fungal diseases. You can have fresh broad beans all through the spring and summer if you’ve sown different varieties and staggered the sowing. 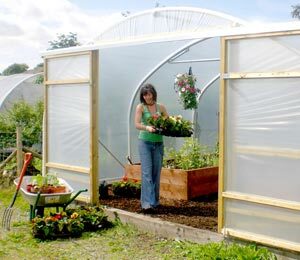 Harvesting can start as early as May and carry on until September. The peak broad bean harvest is likely to be in July. Start picking broad beans when the pods are around 5-8 cm/2-3 inches long. At their smallest size, the whole pod can be cooked and eaten. It is safest to pick the pods with secateurs or scissors, to avoid damaging the stem. Start picking from the base of the plant and work upwards. As the pods get a little bigger, the beans will start to show through the pod. At this stage, shell the beans from their pods rather than cooking them whole. Where the pods have grown very large, the scar on the shelled bean may no longer be green or white. If it is discoloured, the bean is likely to be floury. In this case, it is worth ‘double-shelling’ the beans. This means shelling the beans from their pod and cooking them until they are tender. Each bean will have a slightly tough coating which can then be removed. If there isn’t time for double-shelling, the beans can be pureed instead. To store the beans, blanch them in boiling water for a couple of minutes. Drain them and rinse with very cold water to stop the cooking process. Try freezing on an open tray before transferring to a freezer bag. This will make the beans easier to separate later on, so there is no need to defrost a whole bagful at once. Broad beans can have extraordinarily long roots, so are fantastic for breaking up heavy ground. They’ll reach deep stores of nutrients that many other plants wouldn’t get near. Don’t forget to dig the spent plants back into the soil. As legumes, the plants turn nitrogen from the atmosphere into a form which other plants can use. Digging the plants into the soil means that the nitrogen in their roots will break down and be released into the soil. The nitrogen will act as a fertilizer for the next crop. 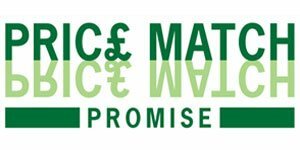 Root vegetables particularly benefit from being planted after peas and beans. 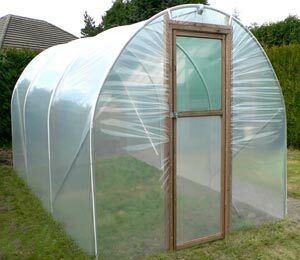 Broad beans are a fantastic plant to grow in your polytunnel. They’re easy to sow. 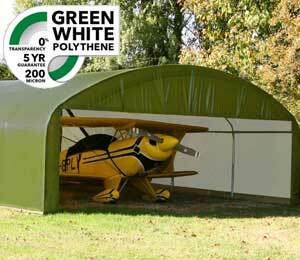 They’ll love the extra protection from the cold, the wind and the rain. They’re healthy and tasty to eat, and they improve the soil. Now, where’s that seed catalogue?